In 1880, Auguste Rodin received a commission from the French government to sculpt a set of doors for the planned, though never constructed, Museum of Decorative Arts, in Paris. 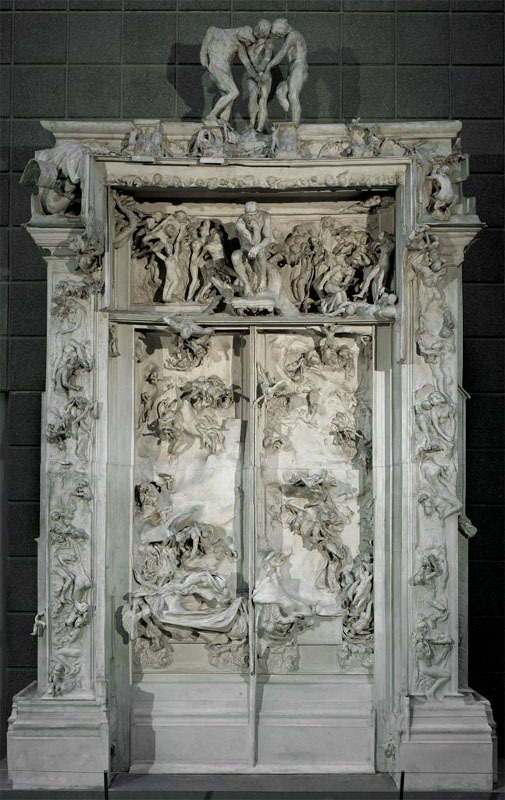 The doors were conceived by Rodin as a sculptural representation of Dante’s Divine Comedy, specifically the Inferno. What resulted was The Gates of Hell, a monumental sculptural doorway populated by many hundreds of human figures whose dynamic motion and evident emotional struggle transcends the limitations of their medium (Fig. 1). 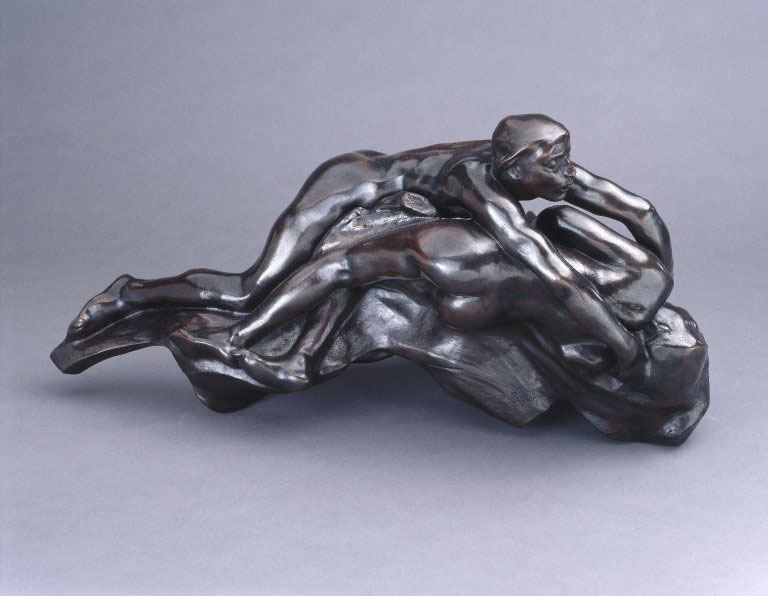 The two major episodes from the Inferno that Rodin included in the Gates are that of Paolo and Francesca, and that of Ugolino and his sons. The sculpture depicting the former episode, in which the pair of lovers is doomed to Hell for their sin of Lasciviousness, will be the focus of this investigation (Fig. 2). Many scholars have concluded that though Dante’s Inferno was the starting point for the monument, at some point in the creative process, the sculptor abandoned Dante and the resulting scenes and figures that Rodin created came from the artist’s imagination, rather than from the poet’s text. However, here it will be argued that Rodin did indeed take full inspiration for his figures from the text of Dante’s Inferno, at every step of the process, but that he was emulating the author not as an author and a poet, but as a sculptor. 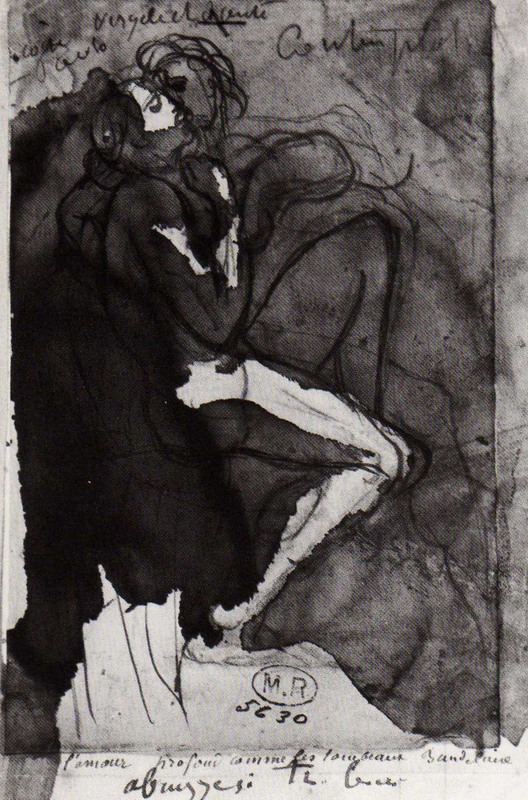 In addition, Rodin’s practice in translating Dante’s words into forms, though marked by originality and innovation, coincided directly with nineteenth-century academic practice, and Rodin’s own studio practices.